Located downstream from the Oxbow Dam powerhouse at the mouth of Pine Creek, Oxbow Hatchery is a holding and spawning facility for adult steelhead migrating up the Snake River, above its confluence with the Salmon River. Built in 1961, Oxbow Hatchery was the first hatchery facility constructed by Idaho Power as part of its hatchery mitigation program. Adult steelhead are collected in a trap at Hells Canyon Dam and held to maturity at Oxbow Hatchery where they are artificially spawned by hatchery staff. More than one million eggs are fertilized and go through their first stages of development here. Eventually, the eggs are delivered to Niagara Springs Hatchery to hatch and grow for approximately 11 months before they are ready for release into the Snake River below Hells Canyon Dam. In 2000, Idaho Power added raceways to rear up to 200,000 fall Chinook salmon for release below Hells Canyon Dam. 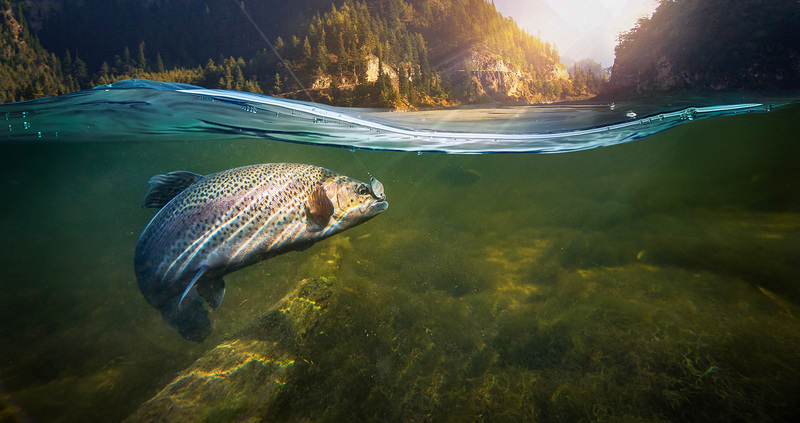 The company also funds the production of an additional 800,000 more fall Chinook salmon at an Oregon Department of Fish and Wildlife hatchery in Oregon. Each year a combined total of up to one million juvenile fall Chinook salmon are released into the Snake River below Hells Canyon Dam as part of Idaho Power’s mitigation program. Idaho Power also traps adult spring Chinook salmon from the Snake River for use as broodstock at Rapid River Hatchery. Fish are trapped at Hells Canyon Dam, temporarily held at Oxbow Hatchery and then transferred to Rapid River Hatchery. Oxbow Hatchery is owned and financed by Idaho Power and operated and staffed by the Idaho Department of Fish and Game. For additional information about the hatchery, visit the Idaho Department of Fish and Game’s website.